You had to be there! 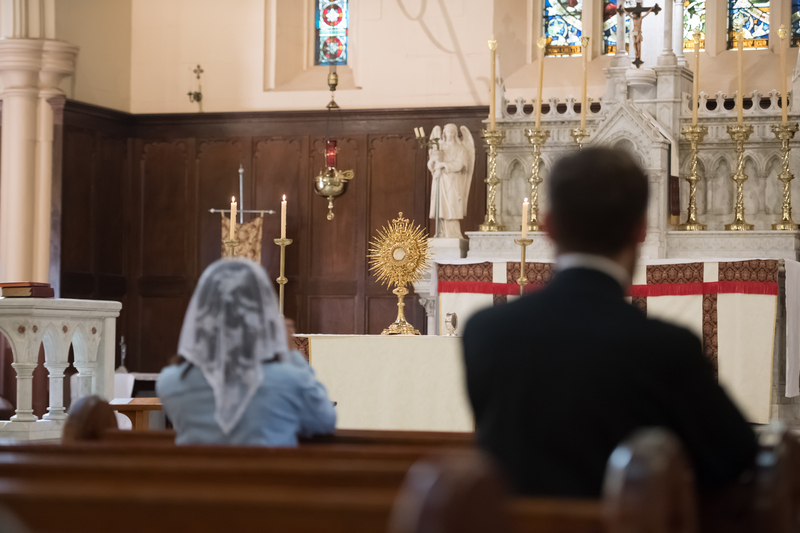 The atmosphere of the solemn Mass, the beautiful music and the prayerful reverence of the people gathered around the Lord, marked the 55th World Day of Prayer for Vocations. 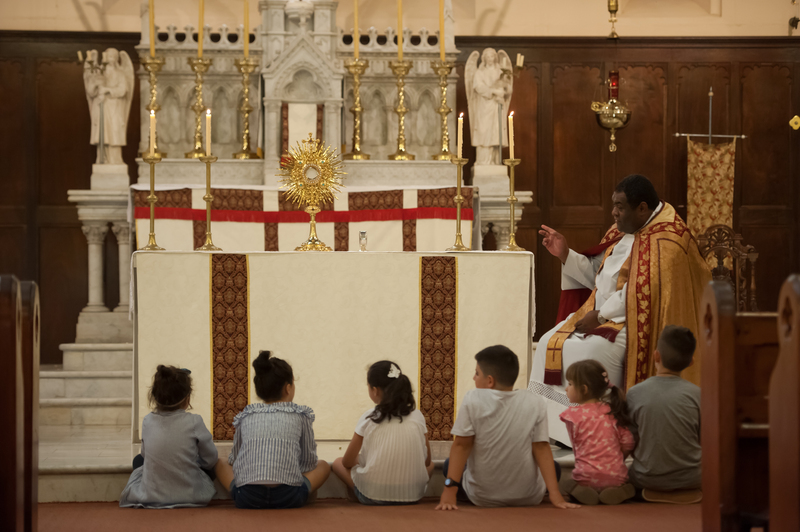 Young people, Consecrated Women, seminarians, and young families gathered with the parishioners of St Benedict’s Broadway in a revamped initiative to pray specifically for Vocations in the family. Bishop Tony Randazzo presided over the day, aided by Fr Thomas McFadden, Vocations Director for the Capuchin Friars, and myself. The celebration was a happy occasion. This gathering commemorates an historic event that is a central focus of the Vocation Centre year. For the Church in Australia, 2018 marks the 200th year of Eucharistic Adoration in Australia. 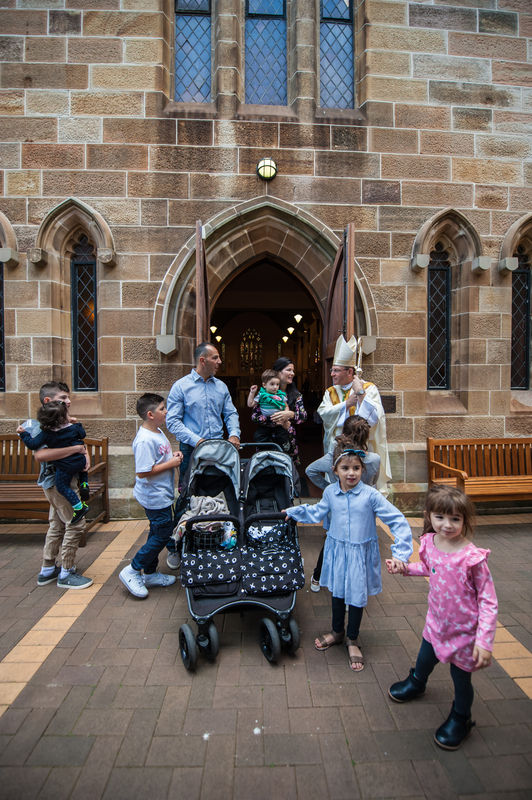 In 1818, the last Priest in Australia, Fr O’Flynn, left a sole Blessed Sacrament with the Dempsey family in Kent Street, Sydney, before his deportation to England. Without a priest, faithful families gathered at the Dempsey House to adore, praying in silence and song, and supporting each other with the strength they drew from the Lord, in the Eucharist. The heritage of the Church in Australia is steeped in the events at this family home. This is something that the Vocations Centre is enthusiastic about celebrating 200 years after that time. The family is the first place where each of us learned to listen, to pray, to discern and live for others in mutual love and respect. The family is the most natural place where children are truly themselves in the loving care of their parents. It is here, too, that their hearts are guided towards the supernatural in our Catholic Tradition. And it is therefore the family home that is best placed to nurture a vocation. 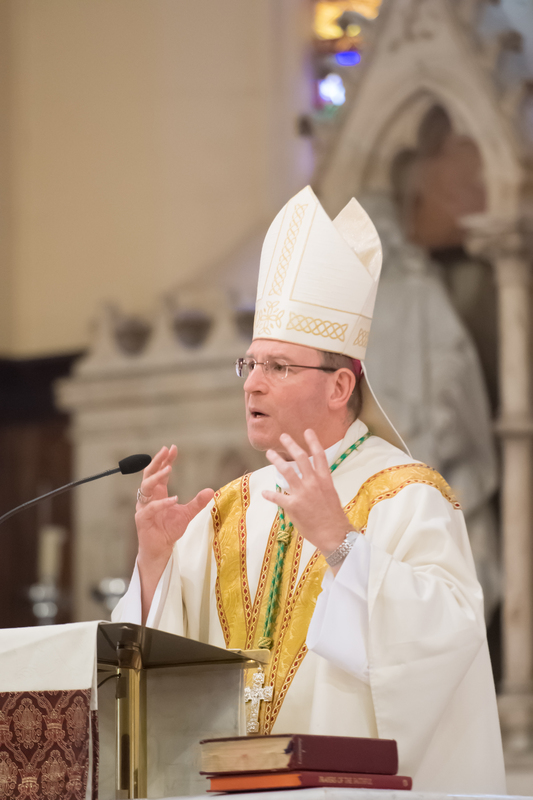 In his turn, Bishop Randazzo preached on freedom and its essential place in the act of choosing to do God’s Will in the manner of Christ who “laid down his life out of his own accord” (John 10:18). His homily gave all of us food for thought and encouragement. Later on after a light luncheon, Bishop Randazzo reminded those gathered around him about the irreplaceable dignity of the Family as the Seedbed of Vocations. A vocation is God’s personal invitation to a relationship with Him, which sets you on the path to holiness. 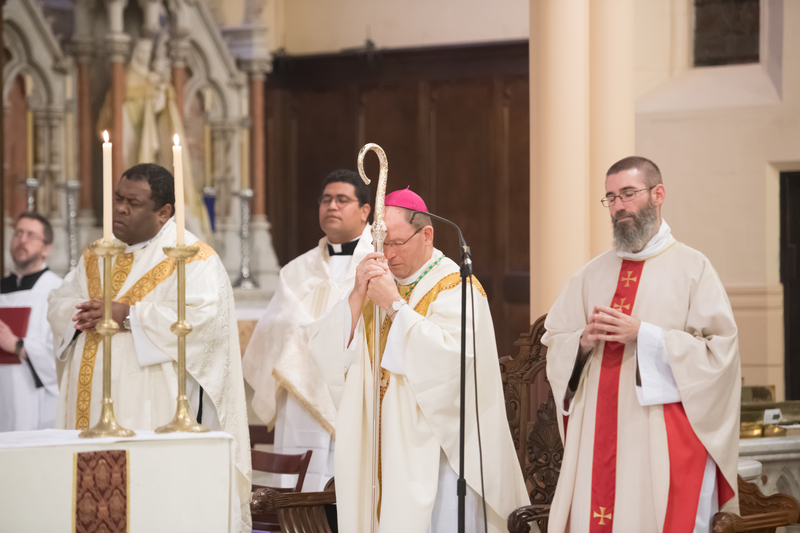 Bishop Randazzo’s address was steeped in examples of God’s personal invitation to a vocation in Sacred Scripture. He illustrated the stories of Moses, Jeremiah and St Paul, among others, of how God’s personal invitation is often in response to a particular need. In the church, the children had a catechesis about Christ and the Eucharist. They moved reverently through the church, learning through the beautiful images in the stained glass windows of the historic parish. The day concluded with Benediction led by Bishop Randazzo. I am hopeful that next year will see more families getting involved in similar initiatives in their parishes. With the positive feedback from the participants, especially the excitement of the children, I am confident that next year’s gathering will find you being part of it as well.